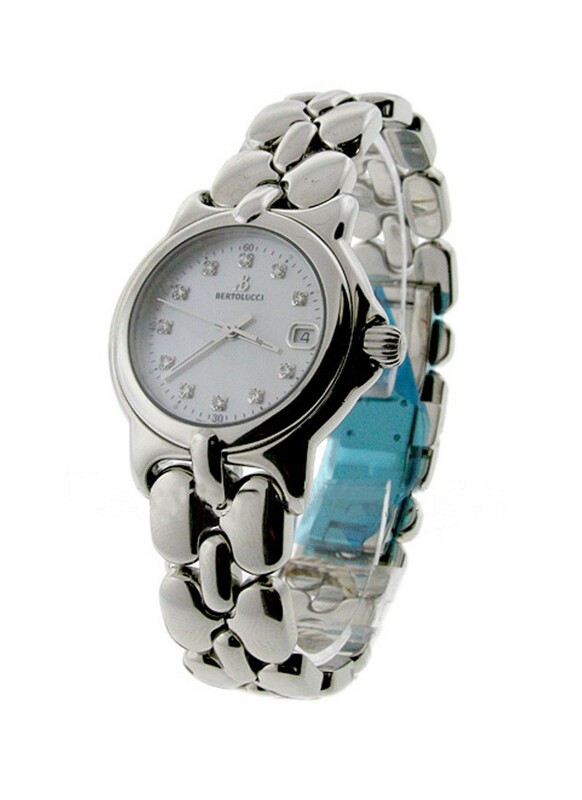 This watch is also known as: 093-55-41P-671 , 093/55/41P/671 , 0935541P671 . 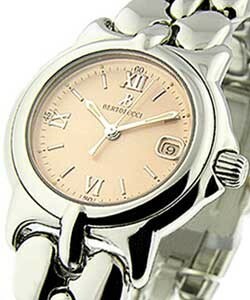 Housed in a 28-mm case, the charming Bertolucci Vir (ref. 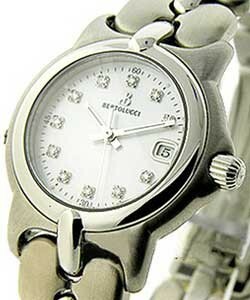 093.55.41P.671) showcases its mother-of-pearl dial with 11 diamond hour markers, center sweep seconds and date display at 3 o'clock position. 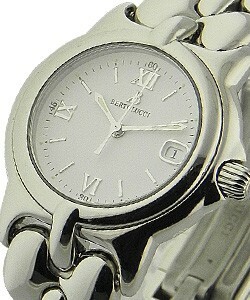 A polished stainless steel case matches the polished stainless steel bracelet with double-folding clasp. 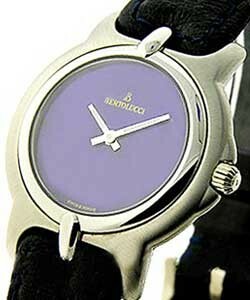 Powered by quartz movement, the alluring Bertolucci Vir (ref. 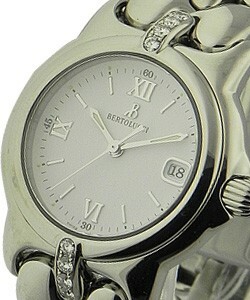 093.55.41P.671) is protected by a scratch-resistant sapphire crystal. 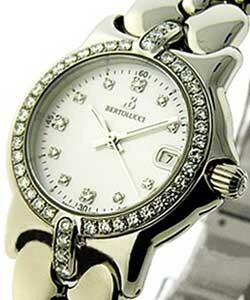 Being water resistant to 100 meters (330 feet), this timepiece is suitable for swimming or snorkeling.